As Nelson Mandela famously said, “Education is the most powerful weapon which you can use to change the world.” Few would deny the power and importance of education. Parents around the world go to great lengths to secure education for their children. In the United States, much of the discussion around schools and education is about what happens to students within the walls. Do we give too many tests? The right kind of tests? Are we disciplining kids effectively? Are resources allocated equitably? 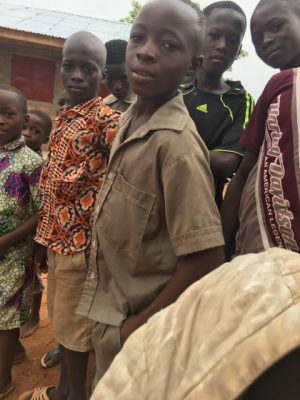 In many parts of rural Togo, the concern is just getting to school. Is there a school for students to go to? How far will they need to travel? By the time they get there will they be too hungry and thirsty to even learn? On our recent trip to Togo we got to see this first hand when we visited three new schools built with fair trade premium money generated through sales of Alaffia body care products. After traveling on muddy streets (getting stuck twice), passing through rural land characterized by farms but few houses, we would arrive at schools serving hundreds of children who traveled 5 or more miles, without the benefit of a motorized vehicle. One school we visited, built last year, was a kindergarten on the grounds of a primary school. Previously, the younger kids in this community did not have a chance to attend school at all. 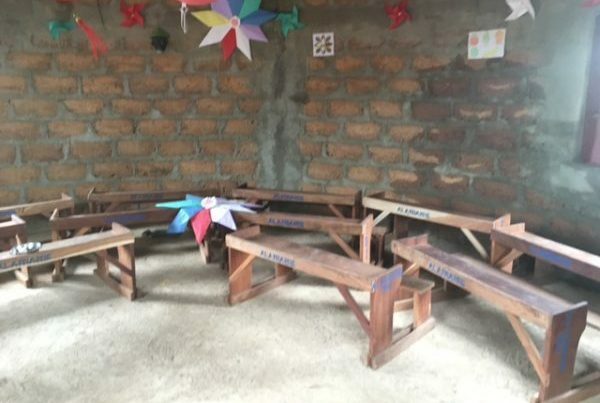 They now have a three-room building that was quickly filled by eager kids, clean water in every class, toilets, and a small play-yard. Two other schools have just been completed and will provide more capacity and better accommodations for nearby students, nearby here being a loose term to describe the staggering radius served by each school in a region of the world where families do not own cars and school buses would not make it down the dirt roads in rainy season even if bus service did exist. 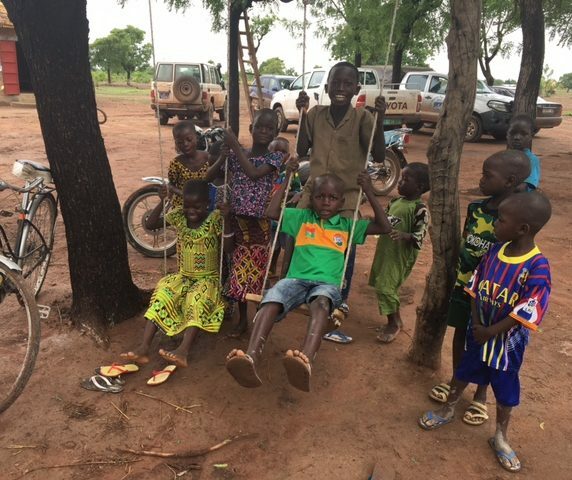 To address the transportation issue, Alaffia also runs a bicycle program, collecting donated used bikes for the U.S. and distributing them to students of these rural schools. Students who do not have bicycles walk to school. A brand building schools and providing student transportation may seem surprising, but as we explain in our video The Fair Trade Story, the fair trade movement has countless of examples of consumers, brands, and producers joining in solidarity to address the needs of marginalized communities. The fair trade premium is a common way the movement provides funds to pay for things like school that governments can’t or won’t provide, but should. In a country where less than half of students will finish secondary school and adult illiteracy rates are high, providing a place to attend school and means to get there are vital first steps. We look forward to a day when all students can focus on what they are learning in school, rather than if and how they can get there at all. Your Comments VERY, VERY SAD SITUATION!